Hi Genki is a Japanese restaurant that is located in South Burnaby just off of Kingsway in a retirement home. Yes, you saw that correctly, in a retirement home! It sounds like a very weird location for a Japanese restaurant, but I kept seeing very positive reviews from other bloggers, so I knew I had to check it out. This isn’t a sushi restaurant, although they do have sashimi. They focus more on cooked meals and rice bowls. 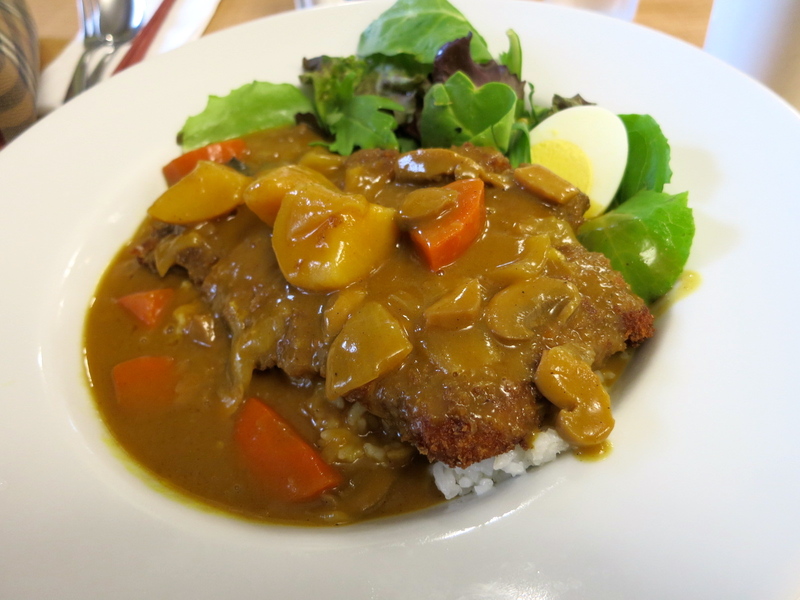 I ordered the pork katsu curry ($9.50) for my lunch. The portion of food was massive. I’m a big eater and I couldn’t even finish all the rice. The generous portion of pork katsu was nice and crispy. A few pieces on the outer ends were a bit dry, but the majority of the meat in the middle was tender. The curry sauce on top was very delicious and it made the meal for me. If you haven’t ever had Japanese curry, it is quite different from curries from other countries. It isn’t spicy at all, in terms of heat, but it has a very aromatic spice flavour. Japanese curries are often made with a ground up mix of turmeric, coriander, cumin, and cardamom, along with hints of other spices. The potatoes and carrots in the curry were a bonus for me too. I like it when a curry dish is a filling, complete meal. I love it when weird little restaurants make great food and that is exactly what they do at Hi Genki. The food here is hearty, affordable, and satisfying. While I’m not authority on home made Japanese cooking, this is what I imagine a comforting, authentic, meal to be like. Don’t be scared off by the fact that it is in a retirement home, because it is definitely worth a visit. Yes, for yummy, comforting, Japanese food.